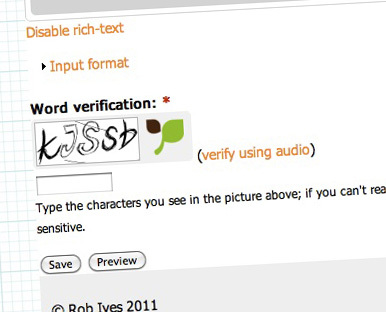 "Why do you require a CAPTCHA if you have to be a member to post a comment?" Asks Frankenpaper to which I replied that I didn't know that I did. 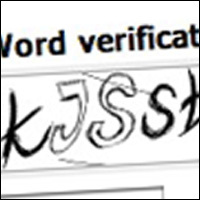 And so it is that, after a bit of tinkering with the backend of the website, if you are a registered user of any sort you can now comment without having to fill in a Captcha form. My apologies for not sorting this out earlier. I hadn't realised it was set as an option. If there are any other annoying 'features', let me know and I'll see what I can do. And another annoyance. Why when I'm signed in (as a member) and I already receive the newsletter, am I invited to sign up (again) for the newsletter. Come on Rob, you don't want to irritate your regulars now, do you! The newsletter request box should only pop up every so often. I'm sorry if it is an annoyance but it really works! Sign ups for the news letter have multiplied by ten since I added it. ← Bird and Worm : Ratchet based model.